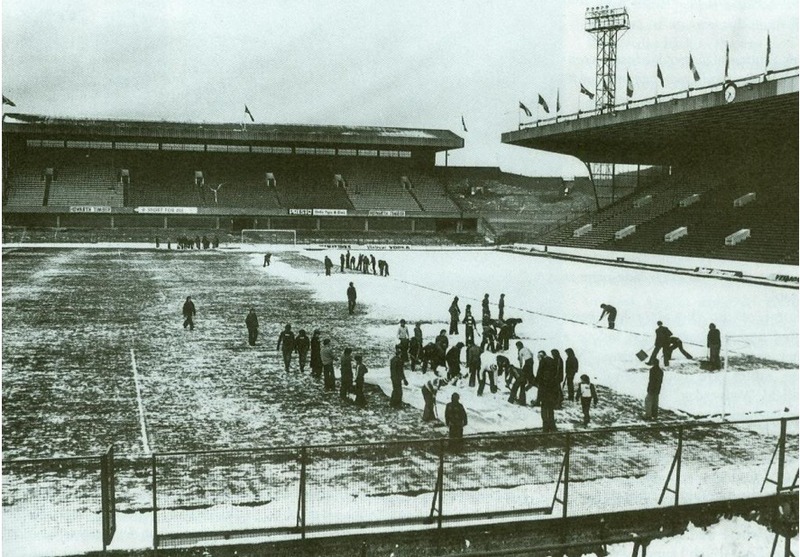 Sheffield Wednesday v Arsenal – this Third Round FA Cup clash at a snowy Hillsborough in January 1979 was the first of a series of five games between Division Three side Wednesday and First Division Arsenal. At the time, Cup ties were played to the death, without penalty shoot-outs. It took four replays, three of them going to extra time, to separate the two teams. The last three fixtures were played at Leicester’s Filbert Street. Arsenal were unhappy about the state of the Hillsborough pitch, with their manager Terry Neill declaring it the worst he’d ever seen, and believing it was unsafe. The Sheffield Wednesday side was managed by 1966 World Cup winner Jack Charlton, before his successful spell as Republic of Ireland manager, during which he took them to their first major tournaments, the 1988 European Championship and the World Cups of 1990 and 1994. In goal for Arsenal, where he was subjected to a barrage of snowballs, was the celebrated Northern Ireland keeper Pat Jennings. After a long career at Tottenham, where he was Footballer of the Year in 1972-73 and then PFA Player of the Year three years later, he was allowed to join rivals Arsenal in 1977, with Spurs believing he was past his best. Jennings went on to play in the First Division for another eight years, and was a key member of the Arsenal side which reached the FA Cup Final for three consecutive years between 1978 and 1980. In 1983, he became the first player in English football to reach 1,000 senior appearances, and represented Northern Ireland in the World Cup Finals of 1982 and 1986.